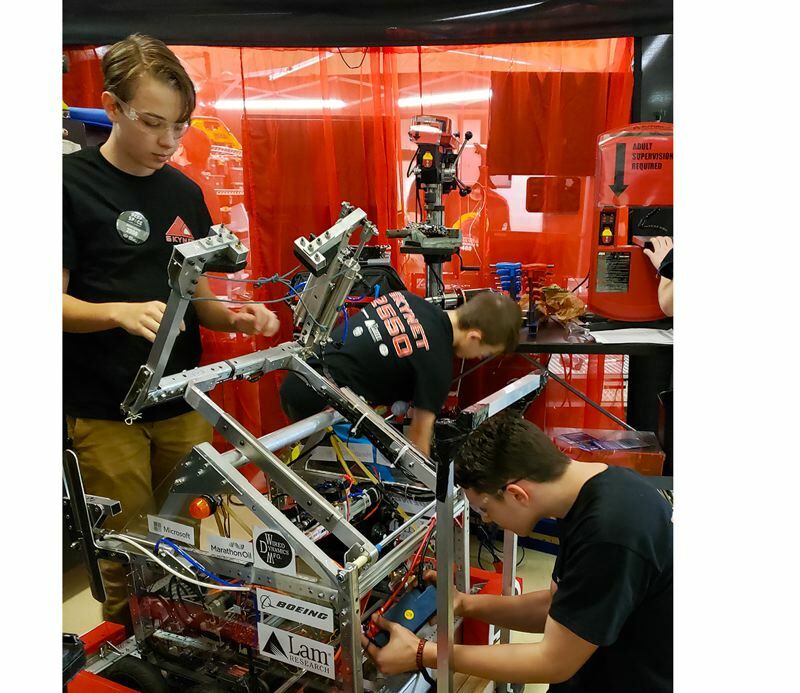 This month 36 robotics teams from across the Pacific Northwest gathered at the Clackamas Academy of Industrial Sciences for two days of competition. Some dyed and spiked their hair, while others dressed as pirates, gladiators or astronauts. "We've got teams from Battle Ground, Ashland, Brookings and Eugene — even Anchorage," said CAIS teacher Lori Weiss. "This is geek paradise!" For the FIRST competition, each team used C++ computer programming, pneumatics, electrical and engineering skills to design a robot rover to deliver two types of items. Each robot had to perform part of its maneuvers in a preprogrammed, autonomous mode. "This program teaches a lot more than technology," said CAIS alumni mentor Nathan Biggs. "We also teach students to make presentations, recruit sponsors and write grants." In the end, the Skynet team from CAIS finished in 11th place, winning seven of its 12 matches.